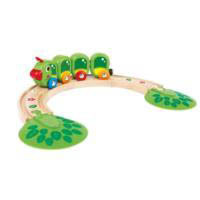 Hello happy little caterpillar! Munch and crunch the hungry little Caterpillar Train through the leaves and flowers to the forests at each end of the track for more delicious grazing! 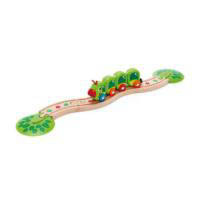 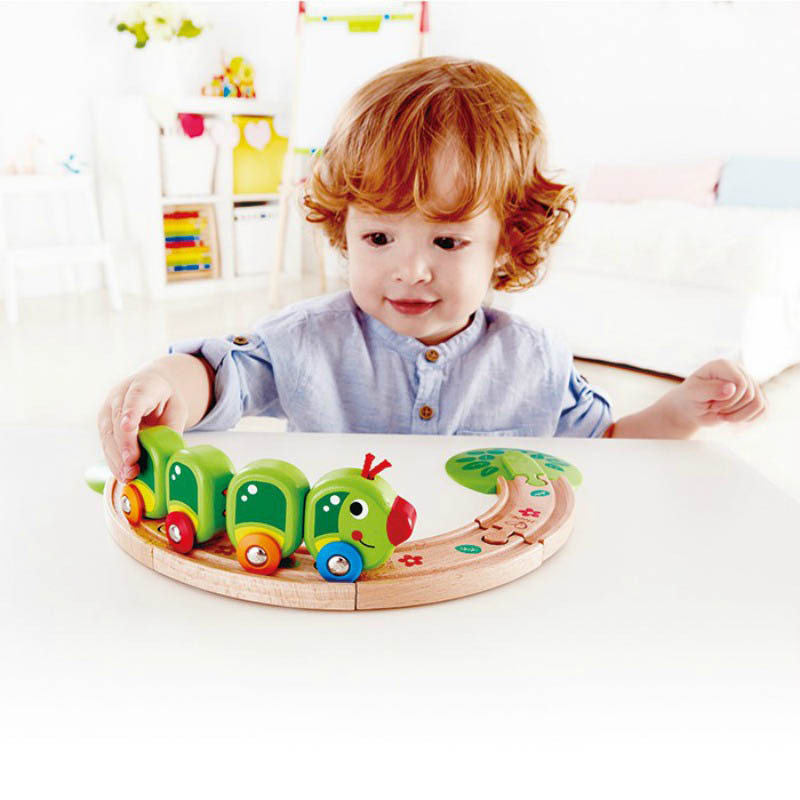 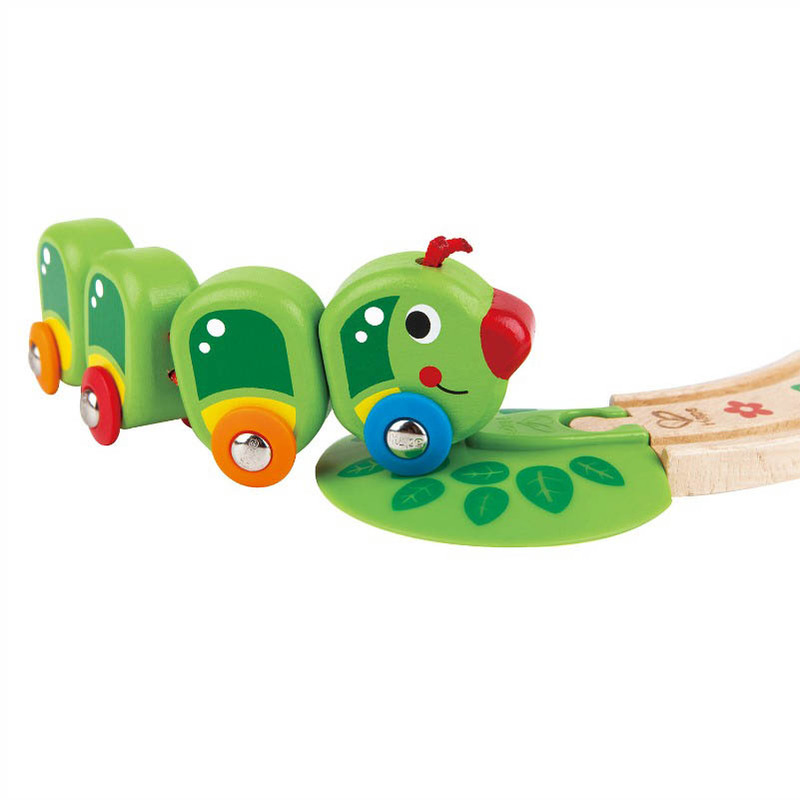 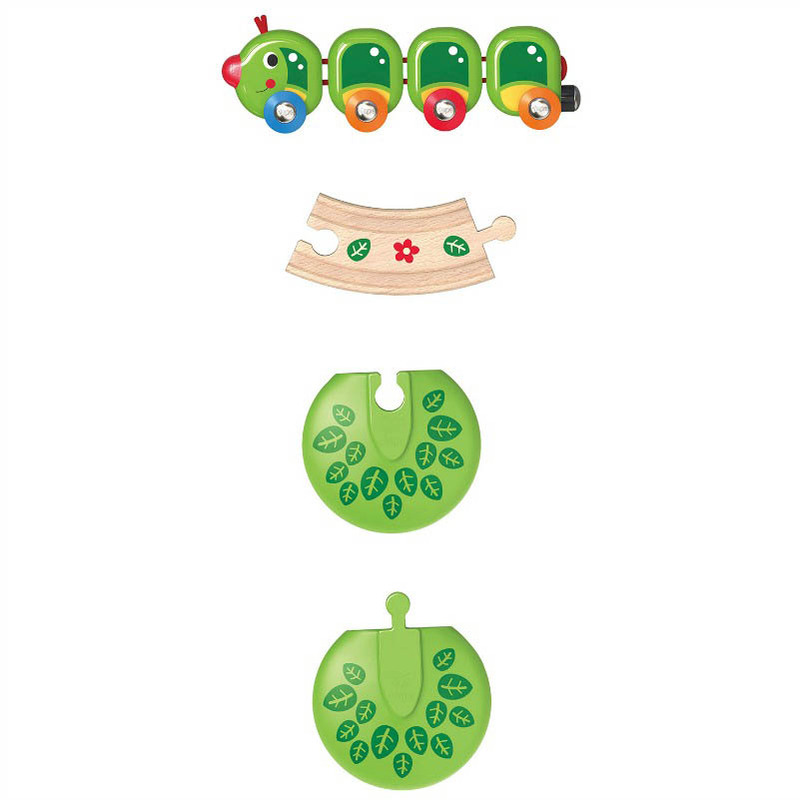 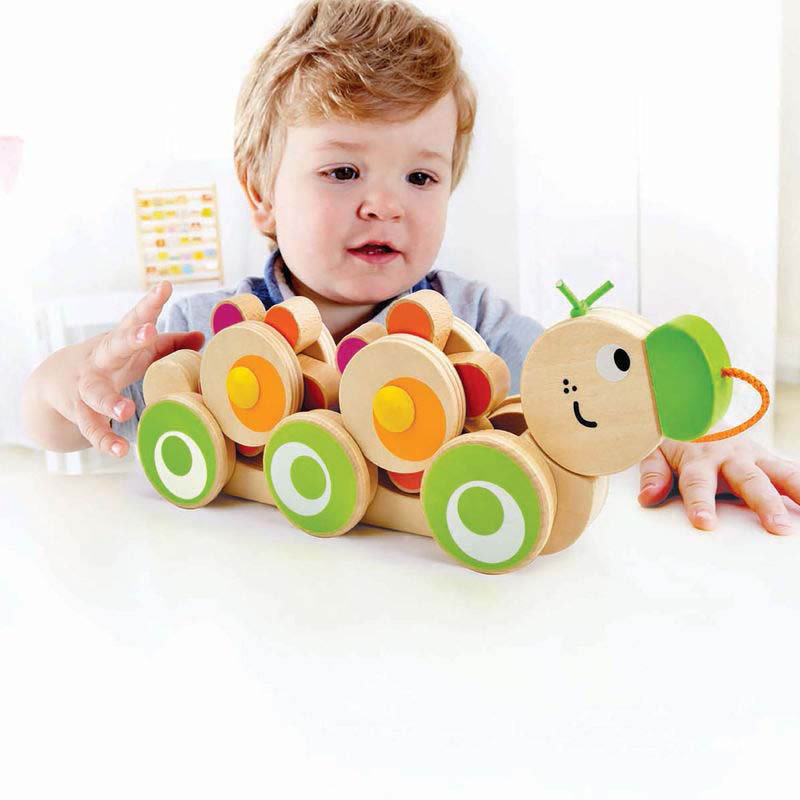 Set up the 6 piece track in a wiggle or semicircle for the caterpillar to explore on its brightly coloured wheels. 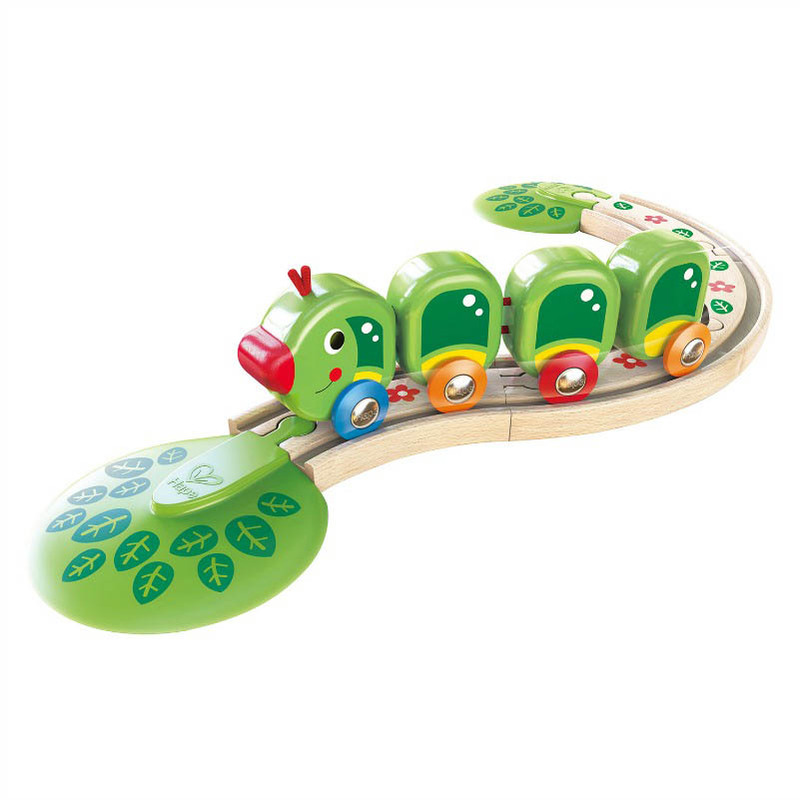 1 x happy caterpillar train - joined together in 4 segments to allow movement along the track without separating. 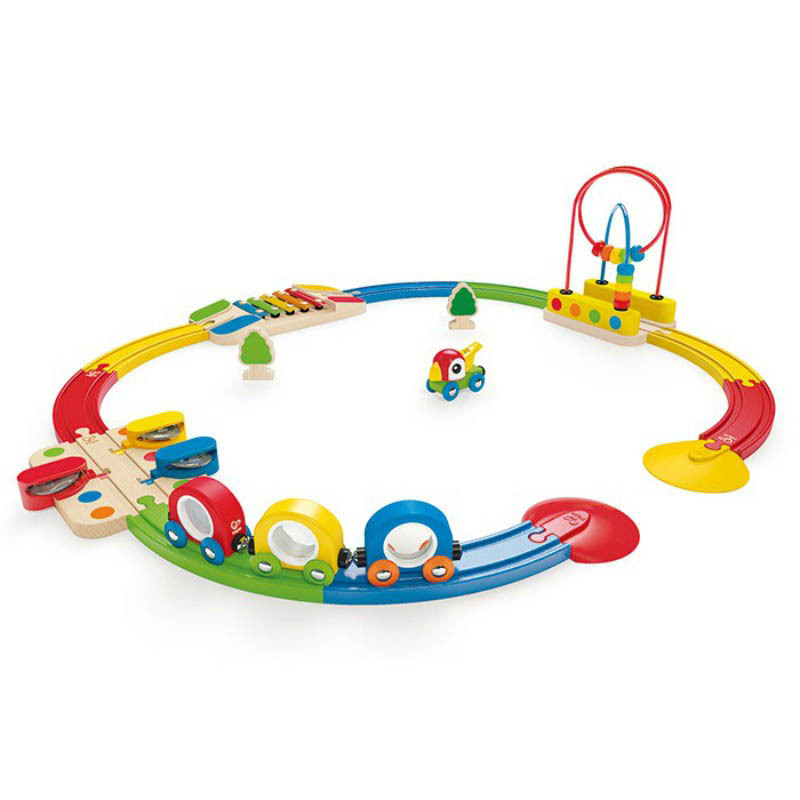 4 x track, 1 x entry forest , 1 x exit forest.